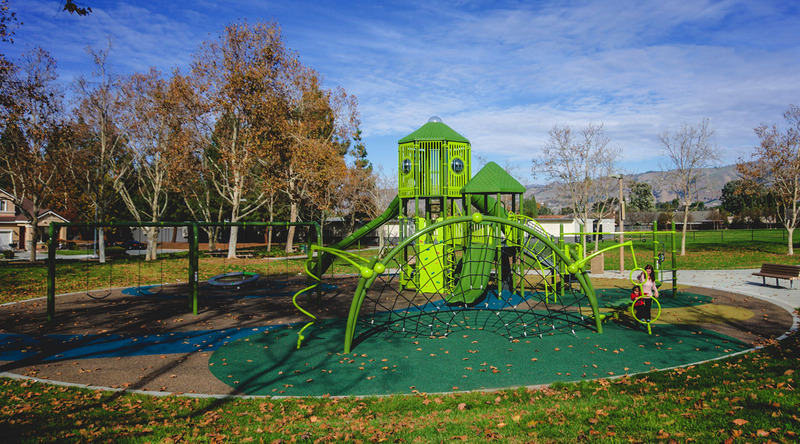 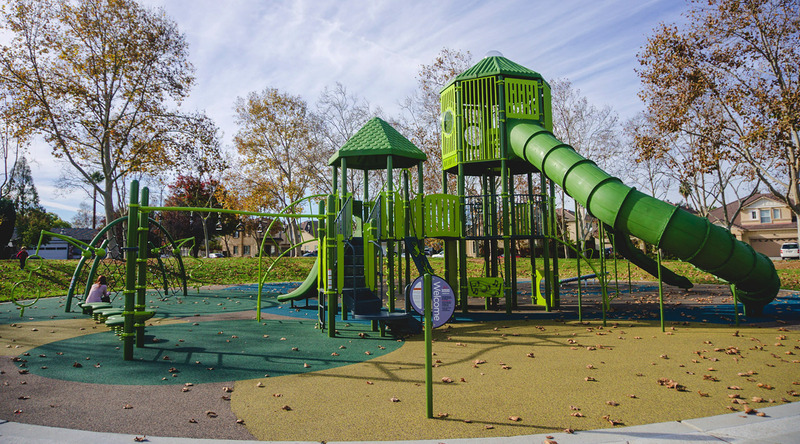 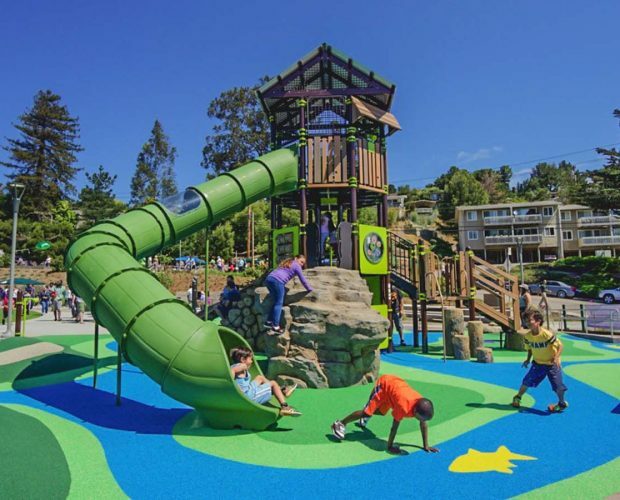 Located in the Evergreen neighborhood of San Jose, Dove Hill Park provides a fun and active place for families in the community to get out and play. 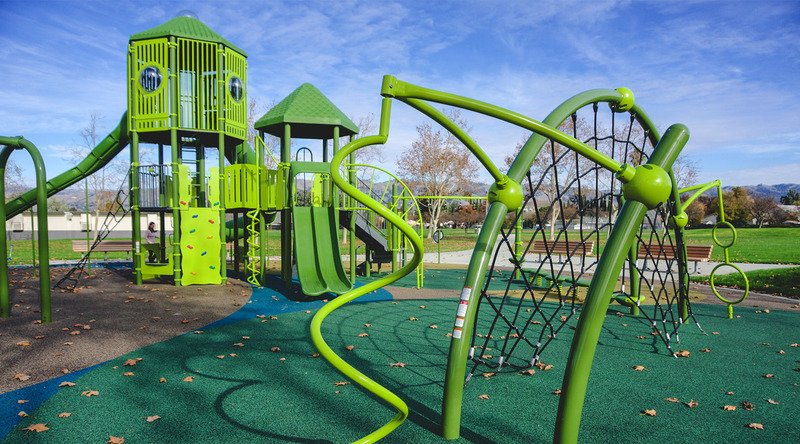 Details: The play equipment’s vibrant green features include a tall ‘lookout’ tower, multiple slides, a large net climber and swings. 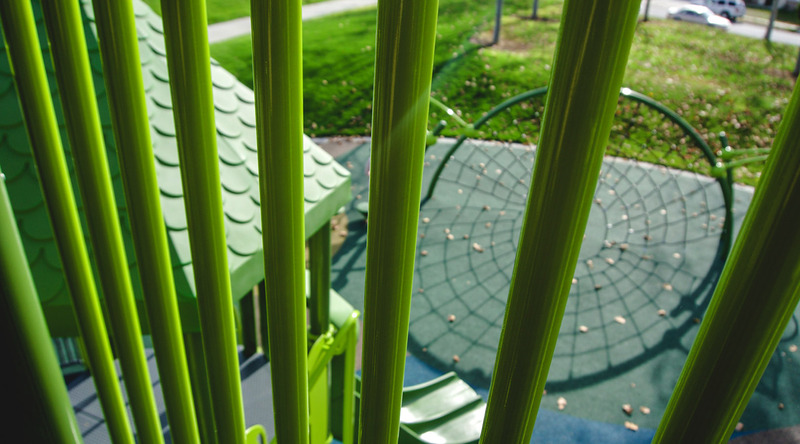 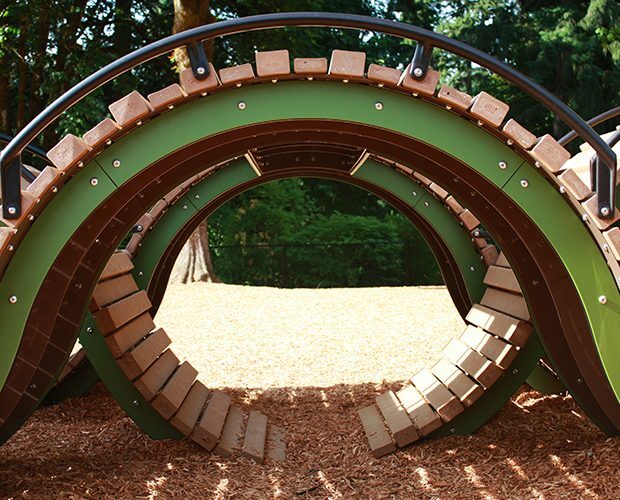 Beyond the play equipment, the park features lots of open, grassy space to run and play.